Nail fungus, or “onychomycosis” affects about 10% of the U.S. population. Four types of onychomycosis are recognized based on the site and pattern of fungal invasion. Dermatophyte fungi are the predominant pathogens, but yeasts (especially Candida albicans) and nondermatophyte molds may also be implicated. Dermatophytes are specialized organisms that live off keratin which is the main component of nails and skin. Affected nails become yellow or discolored. As the infection advances, the nail can become thick, brittle, and separate from the nail bed. It can cause pain when wearing shoes or walking. Where do these nail infections come from? Common sources of exposure include swimming pools, public showers, gyms and nail spas. Tight fitting shoes and nail trauma can also put an individual at risk for nail fungus infections. Genetic susceptibility, poor health and advanced age are additional risk factors. 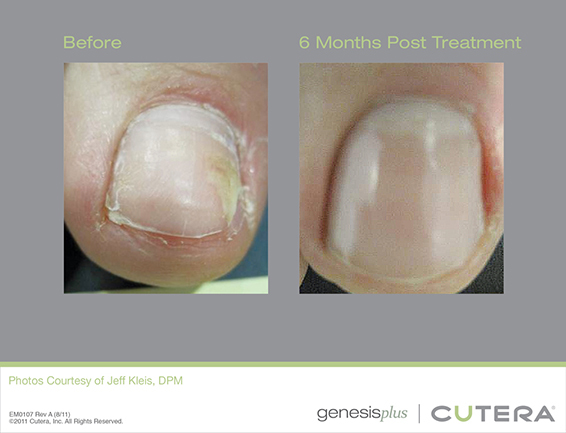 What are the traditional treatment options for Nail Fungus? Oral antimycotic (fluconazole, itraconazole, and terbinafine) can be taken for months in an effort to resolve toenail fungus, but have potential side effects as well as high cost, and are often not covered by insurance which may deem this a ‘cosmetic’ condition. The possibility exists of liver injury during therapy with the newer antifungal agents. Liver function tests at baseline and periodically during therapy should be performed for patients receiving continuous therapy with terbinafine, fluconazole, or itraconazole. Patients receiving terbinafine are also advised to undergo baseline and periodic complete blood counts as well. Pulse therapy with itraconazole does not require laboratory monitoring. The recommendations for intermittent therapy with fluconazole are unknown. In all cases, patients should be educated so that they can recognize and report signs of drug-related adverse reactions, including jaundice, upper abdominal tenderness, malaise, dark urine, pale stools, fatigue, nausea, and vomiting. 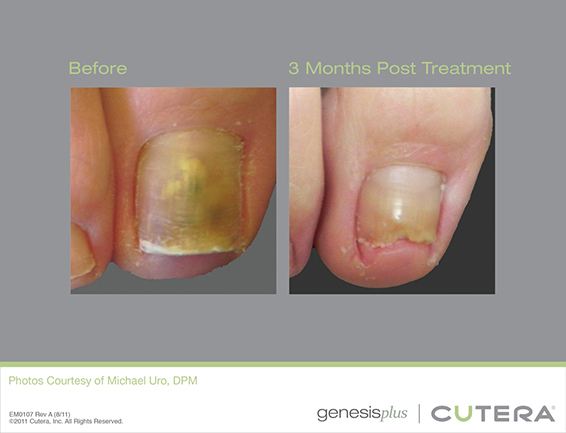 GenesisPlus treatment with the Excel V laser offers an option for those affected by nail fungus, without the risk of liver or other systemic side effects, and without the need to take daily medication orally. 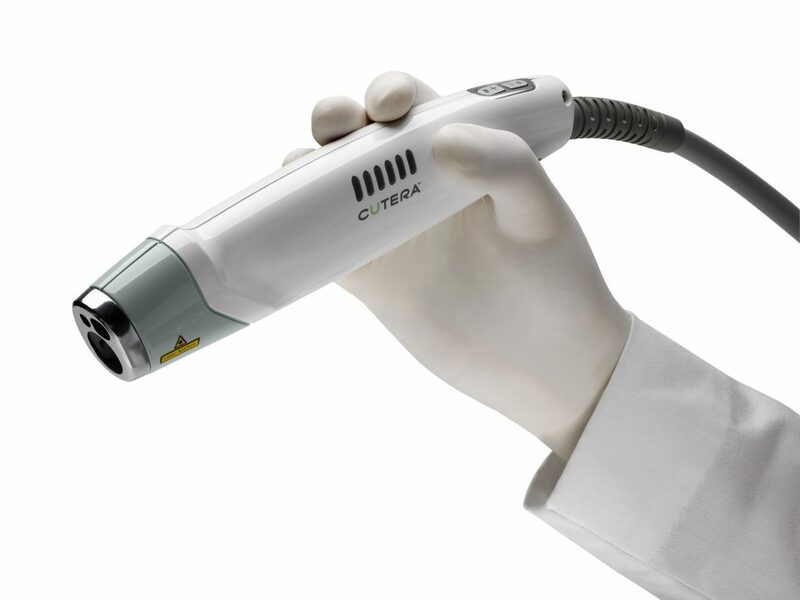 The GenesisPlus procedure involves passing the laser beam over the nails and surrounding skin. We will treat the obviously infected nails, as well as nearby nails. The nails treated will feel warm during the procedure. Most patients show improvement after one session. The required number of sessions will vary depending on how severe the infection is. Most patients describe the procedure as being very comfortable. Some may experience a small hot pinch that resolves quickly. Immediately after the procedure your nails may feel warm for a few minutes. Most can resume normal activities immediately. Results may take several months to fully evolve. 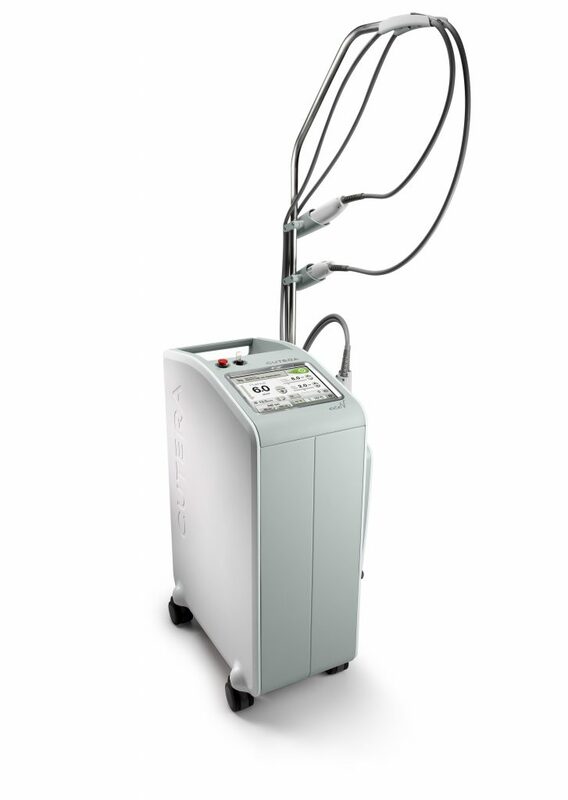 The laser treatment destroys the fungus, it does not repair nail that is damaged. Thus, due to the slow rate of nail growth, Toenails may take 9 to 12 months to clear, Fingernails 6 to 9 months to grow out. As the previously infected and therefore damaged nail grows out, new healthy nail grows in behind it. If you’re interested in learning more about GenesisPlus, call us today to schedule your appointment.